GUYS. 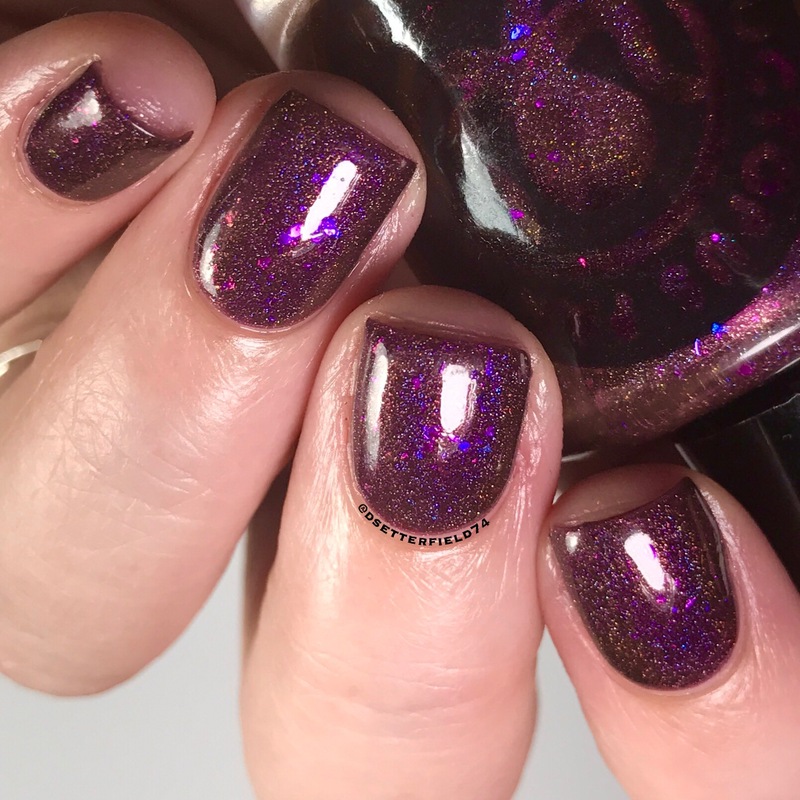 There’s a polish emergency in our midst! Get your shopping hand and your hives cream ready, cuz a legit no joke panic situation is officially lurking. 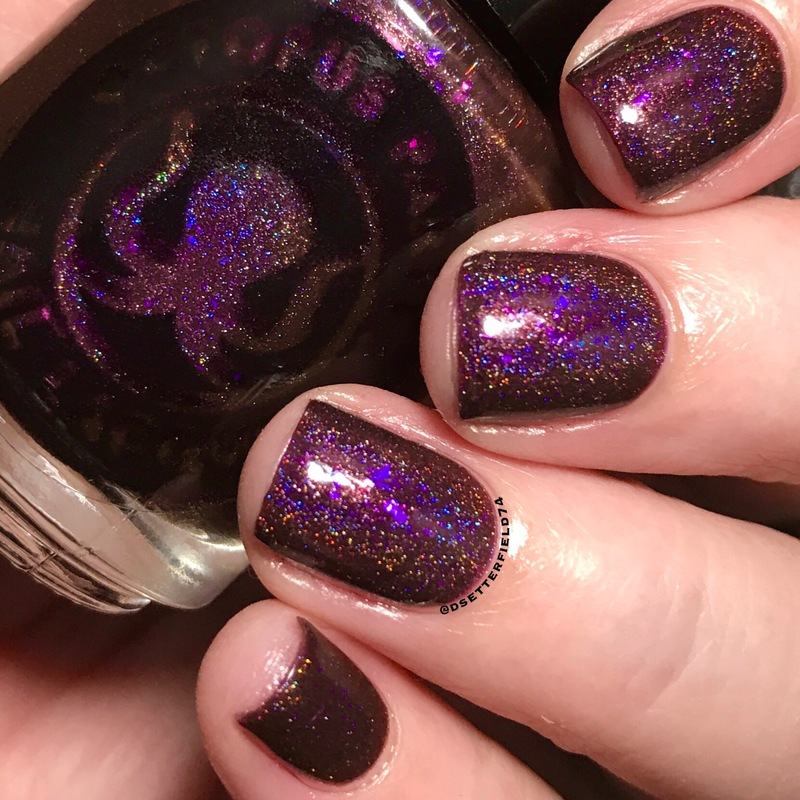 Our pal, Dave, from Octopus Party Nail Lacquer is debuting the first in his new Holo of the Month series, and FOR SOME REASON we can only buy them for the next 48 hours. Gah! It’s about to get suuuuuper elbow jabby in here, I just know it. First in line? THAT’S YOU. Short and sweet blog for you tonight because the situation is so dire. FOCUS, boo boos! And brace yourselves. 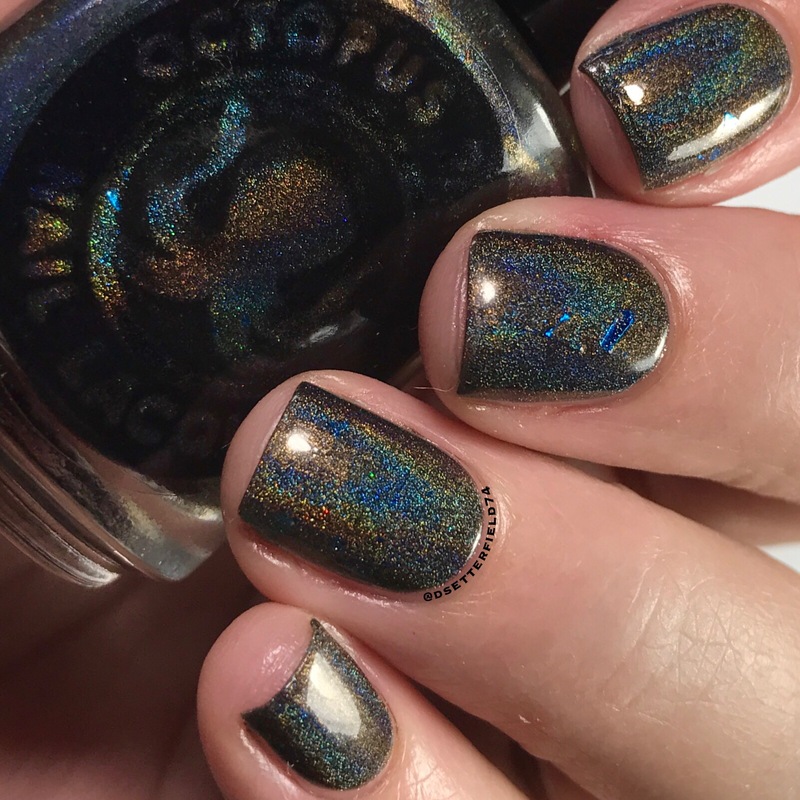 The Holo of the Month series draws inspiration from women in music and will only be available the last weekend of the month. 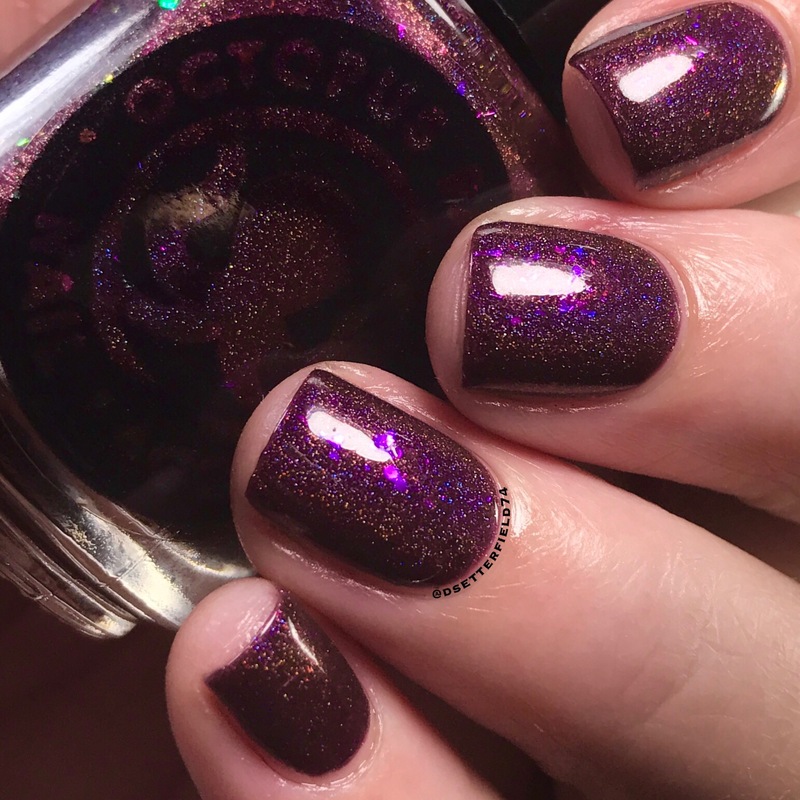 The first polish is named for Grimes, the Canadian-born recording artist who writes, produces, mixes and engineers the vast majority of her own songs. From shoegaze bedroom pop to darkly textured club beats, her music is wholly representative of her personality and processes. A rarity in any genre, her independence and self-sufficiency has led to some of the most assured releases of the past decade. Her work is a thrilling pastiche of genres rooted in impeccable knowledge, craft, and at times, startling authenticity. Well, who wants all that then? DAMN NEAR EVERYONE, that’s who. FORMULA: To die for. Duh. Wallets are flying out of purses everywhere! Told ya you’d want this. It’s juicy and delicious and I’d totally lick it if it wasn’t so poison-y. 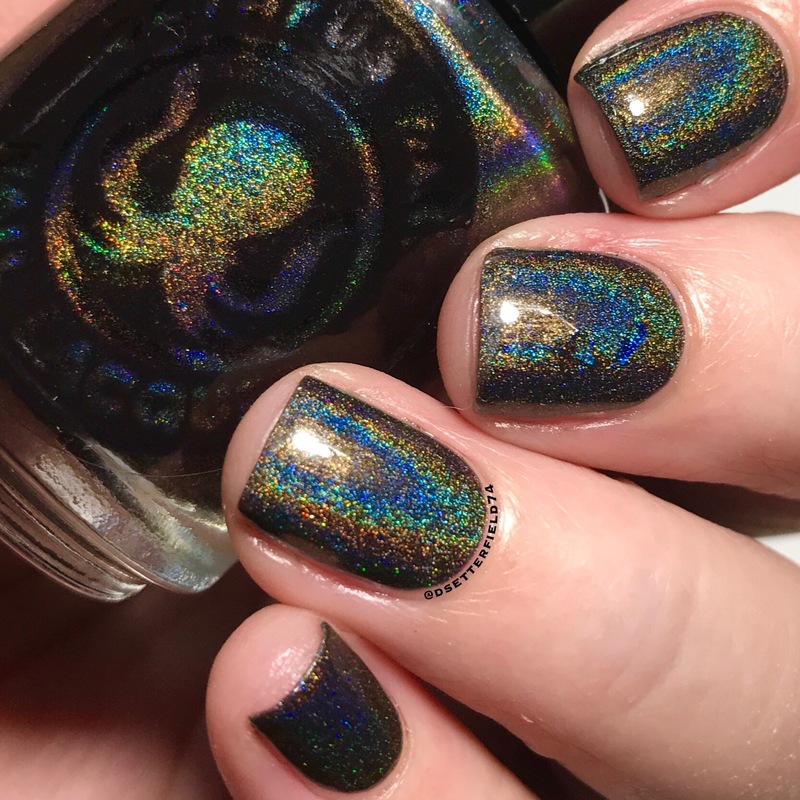 In addition to the Holo of the Month, Dave made a custom for one of his customers to honor the birth of her first child, Logan. And yay for all of us, cuz we’re buying at least 18,000 bottles. COMPLETELY RATIONAL BEHAVIOR, in case you’re curious. 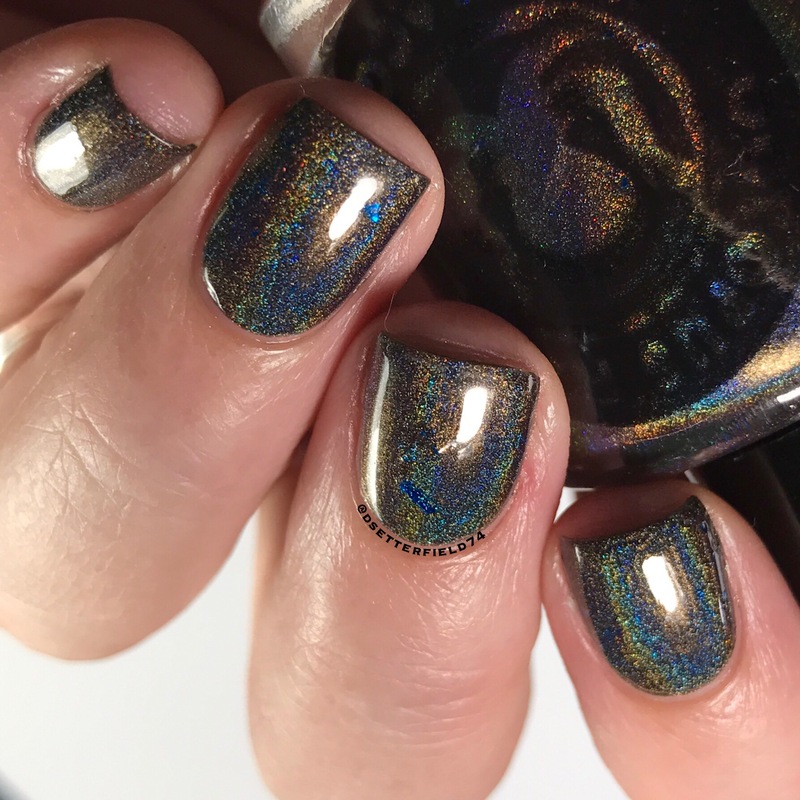 DESCRIPTION: A grey (nearly black) linear holographic with large royal blue flakies that seriously just pop out of this polish like magic. LOOK AT THEM. Dreamy! FORMULA: Smooth and easy, just like Dave. I’m assuming. OMG, what?!?! Shut up, Brain. 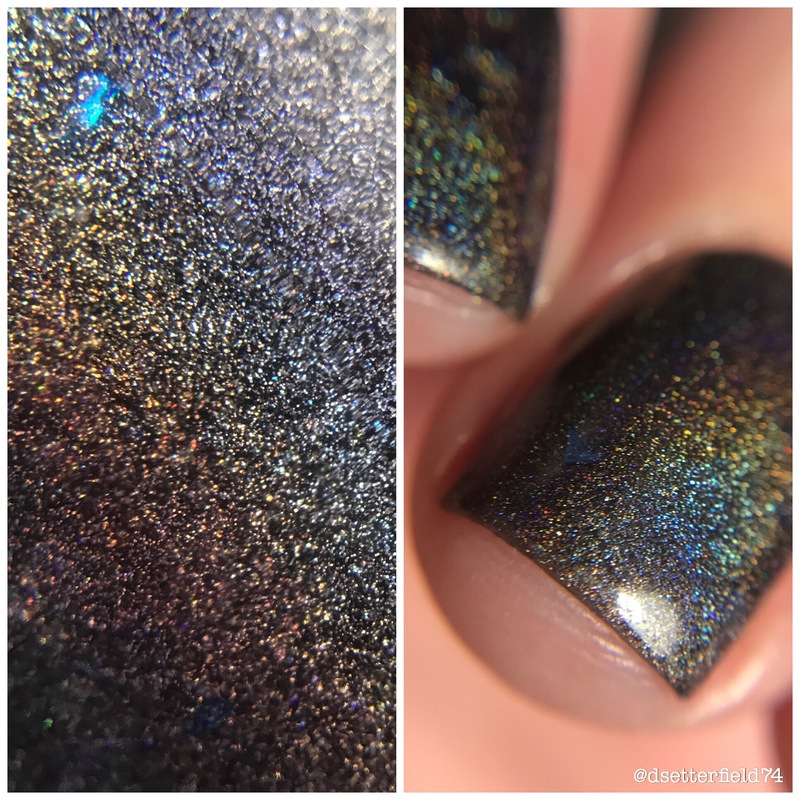 Both of these polishes will be up for preorder on Friday, July 28 at 11am EST through Sunday, July 30 at 12pm EST. SET YOUR DADGUM ALARM, cuz no one wants to wake up on July 31 sad and polish-less. Cost for each bottle will be $12, but happiness is PRICELESS. Just so you know. Click here for shopping! DO IT. I mean it. Then come back tomorrow and DO IT AGAIN. You’re welcome hun 😚 And thanks! I’ve been thinking about it for a long time – I’ve actually had this since 2013 😁 But finally just decided to go for it!